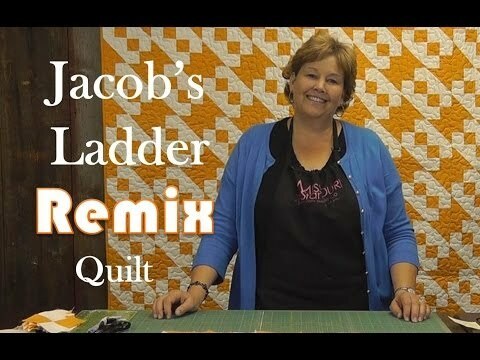 Jacob's Ladder Remix Quilt Pattern by Missouri Star - Missouri Star Quilt Co. - Missouri Star Quilt Co. There's a reason they call the classics "the oldies, but goodies." There's a certain timeless characteristic that touches folks over generations. That's true in literature, music, film, art, and, I might add, quilts. Jacob's ladder is just one of those classics. And this remixed classic is updated with quick piecing tricks that will make it a goodie for you! Finished size: 72" x 76"